On the occasion of the 800th anniversary of the Hanseatic city of Rostock and in a time of new tensions, the Baltic sea region is being reintroduced as a common cultural space: in readings, an international conference, an anthology and a multilingual online library, the open access Virtual Baltic Sea Library, will produce, present and discuss an intercultural Baltic literary canon. Reading the Baltic - grant-aided by Kulturstiftung des Bundes - provides a novel perspective on a sea shared by many neighbours and on a common but longtime peripheral cultural area : pieces of literature from many places around the Baltic Sea will join up in a kaleidoscope of notions and experiences that will bring differences to the fore , but yet might produce new unity as well. Former Lithuanian culture attachée to Sweden, co-translator of Sigitas Geda to Swedish, has just been nominated as the new culture minister of Lithuania: Liana Ruokyte Jonssson. Our congratulations and we wish her good luck for the new task! Vom 25. bis 28. August 2016 findet zum 36. 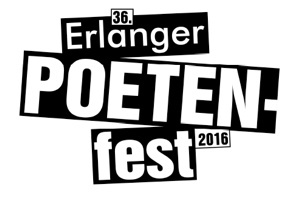 Mal das Erlanger Poetenfest statt. Über 80 Schriftstellerinnen und Schriftsteller, Publizistinnen und Publizisten, Literaturkritikerinnen und -kritiker kommen zu Lesungen, Gesprächen und Diskussionen nach Erlangen. Mit einer Fülle von Veranstaltungen rund um die aktuelle Literatur gilt das Erlanger Poetenfest als Auftakt zum deutschen Bücherherbst. Mehr als 10.000 Besucherinnen und Besucher werden zu den annähernd siebzig Veranstaltungen erwartet.